Calling all party people - The Surrounds Summer Social is back, and this year they're bringing NightQuarter back with them! Kicking off from 5pm, The Surrounds is partnering with NightQuarter to bring all of our favourite food trucks and entertainment back for one final hurrah, with plenty of food, festivities and fun to keep us entertained all night long! Kick off the night with a Pineapple Pina Colada or two from everyone's favourite Spritzer Bar, then follow your nose down the lane towards the food trucks and fairy floss van. Once you've eaten your fill, settle down for a night of live music and roving entertainment, before finishing the night off with a bang in the form of fireworks! Running from 5 - 8:30pm, it's the perfect excuse to get the family out of the house - Oh, and did we mention it's free entry? #WINNING! Ok, let's be real - Gold Coasters really love their coffee. And by really, I mean we're a little bit obsessed with it. The taste, the smell, the strength and the quality of the latte art are all things that we look for in the perfect cup, and luckily for us Caffe Republic in Southport has mastered it with their brand new brew! Recently switching over to Locale Espresso, Caffe Republic's morning brew is now a force to be reckoned with, combining their incredible coffee-making skills with an award-winning roaster to create the perfect Monday cure! Haven't been down to Caffe Republic yet? Well now you have a reason! Get ready to step back in time five thousand years - Because Shen Yun is coming to the Gold Coast! One of the only touring Chinese classical dance companies, Shen Yun is a stunning showcase of Chinese classical dance and history, using a combination of Chinese dance and stunning orchestral work to create one of the greatest Chinese performances in the world. Beginning around 1500BCE, Shen Yun will tell you tales of ancient culture and history, of trials and change and success as you move through the ancient Chinese dynasties, exploring traditional chinese culture with its deep historical roots in a truly breath-taking performance. Running on the 12th and 13th of March, Shen Yun is only here for three exclusive performances - So make sure you get tickets before they sell out! I'm sure by now you know that Coomera Westfield has opened - But if you haven't been and explored it yet, they've just given us another pretty good reason to.Their brand new entertainment space just opened! Aptly named 'The Park' to suit the rest of the centre, the brand new space is the latest exciting new inclusion for the already incredible centre, with a huge range of food and entertainment perfect for your next date night or gals night out. Enjoy an evening of bowling or mini golf, or settle into an evening of food and drinks in their brand new Sports Bar! Feeling peckish? Go and check out the Pizzeria - With Pizza being sold by the metre (yes, you read that right), we promise you won't be hungry for long! Ok, we admit it - We're total suckers for Chinese food. There's nothing I like better than a big plate full of dumplings, so we were totally stoked when Chop Chop finally opened in Surfers Paradise over the weekend! Located in Cavill Lane right across the road from the tram station, Chop Chop will transport you straight to the streets of China, with a huge range of incredible street food ready for us to dig into. Indulge in Thai Bowls, Balinese Skewers, Indian Curry, Chinese Yum Cha and more, then wash it all down with Bubble Tea and Asian mocktails from one of their sensational vendors! Anyone up for a Chinese date? We'll see you there! Hold onto your drinks Gold Coast - Because one of our favourite Gold Coast destinations is about to get a whole lot cooler! 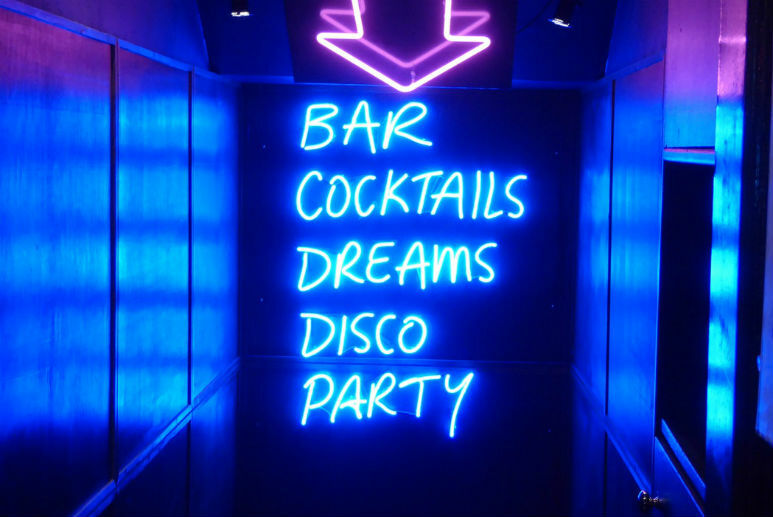 Known for their mouth-watering food, unique drinks and incredible parties, The Star Gold Coast is everyone's favourite party destination, with a brand new outdoor music venue announced to take The Star to a whole new level! Designed to host some of the world's best performers, the new outdoor space will feature an elevated stage alongside space for portable food outlets and water-side seating for up to 1500 people, perfect for everything from local community events to incredible concerts. Imagine a space where you can come and enjoy a day of live music, food trucks and community events, then return two weeks later for a concert by one of the world's best performers. We're totally down for it, and we can't wait to see what's in store!